Most of us take email for granted – until we don’t get a reply to something we’ve sent and call up to discover that it has not been received. Often this is because it’s been routed into the junk folder – and who has the time to look in that regularly? Anyway, the point is that your junk filter is there to remove unwanted email so you have less clutter in your inbox and read only the messages you really want. Obviously, you don’t want to have to call up everyone you send an email to – you probably don’t have the time and it defeats the point of sending the email in the first place! So how do you improve the chance of your email getting to its destination without landing in junk? The secret is often in the subject line. Empty subject lines often result in the email automatically being categorised as junk. Subject lines with too much information in them also can land in the junk mail. Ideally, your subject line should have enough information to let people know what it’s about or encourage them to open it. However, it should have no more words than are easily visible when the email is unopened in the inbox. The other issue to take into account is that human beings are naturally curious so if you’re trying to get someone’s attention that subject line needs to say ‘open me’! January newsletter – not very exciting and quite likely to be deleted by busy people. How to get sales from your email campaigns – much more interesting and people are more likely to want to find out more. Hello there! Would you like to know how to get better results from your email campaigns and make money from every email you send out? – far too long and most of this will not show up in the inbox. 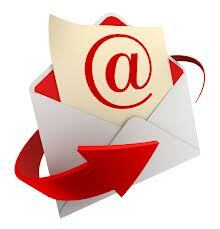 Smarter use of subject lines will get more of your emails to avoid the junk file and get opened.